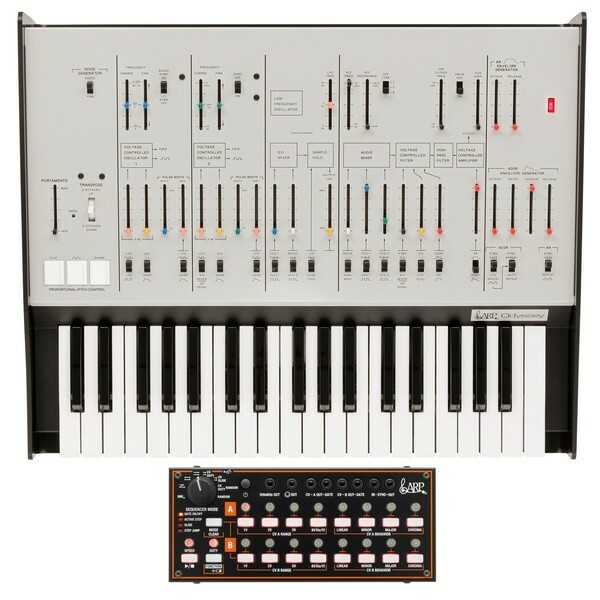 The Korg ARP Odyssey Rev1 with SQ-1 s a limited edition bundle providing you with the extremely limited version of the ARP Odyssey Rev1, complete with the limited edition ARP colour version of the Korg SQ-1 step-sequencer. The Odyssey Rev1 is a powerful analog synthesizer featuring a duophonic design. Provided are a range of essential controls and parameters for creating your own rich synth sounds. The Odyssey Rev1 is equipped with a full-size, 37 note keyboard for playing in your melodies. The combination of the ARP Odyssey Rev1 and Korg SQ-1 gets you creating complex and powerful sounds and patterns within minutes. The bundle also comes with a pair of mini-patch cables to get you sequencing right out the box, ready to explore the endless possibilities. Create a unique setup with these extremely limited models. 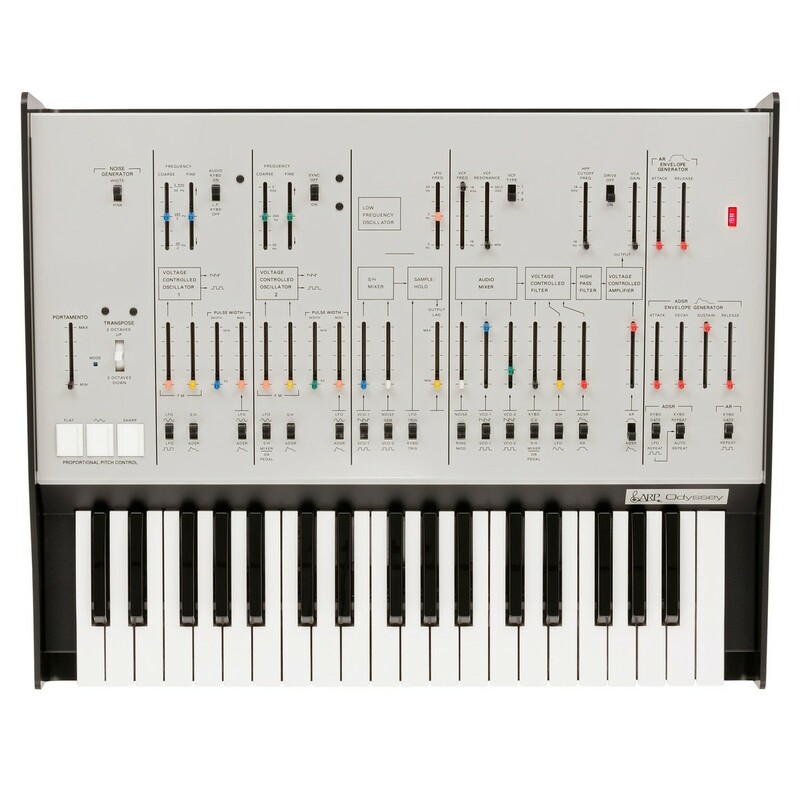 The Korg ARP Odyssey Rev1 is equipped with a full-size, 37 note keyboard. The duophonic design utilises 2 VCOs for optimal versatility, allowing you to use two different pitches simultaneously when playing two notes, opening up a world of possibilities when it comes to sound design. The high degree of pitch stability the ARP Odyssey is renowned for, has been perfectly reproduced for optimal audio quality and functionality. The pitch modulation and pulse width modulation can be controlled, allowing you to make in-depth changes to the sounds tonality and character. Incorporating the circuitry from the original ARP Odyssey models ensures optimal audio quality and versatility, producing the classic analog sound and vintage vibe that is so sought after. First introduced in 1972, the ARP Odyssey has dominated the synthesizer market for years; and the complete reproduction of the ARP Odyssey's original circuitry ensures you retain the classic, vintage sound the original was so infamous for. The original PPC based on a rubber pad has also been reproduced, allowing you to control your pitch wand vibrato depth with ease, in proportion to the pressure you put on the pad. The wide range of controls and parameters ensure you have optimal reign over your sound, allowing you achieve the sound you desire with ease. 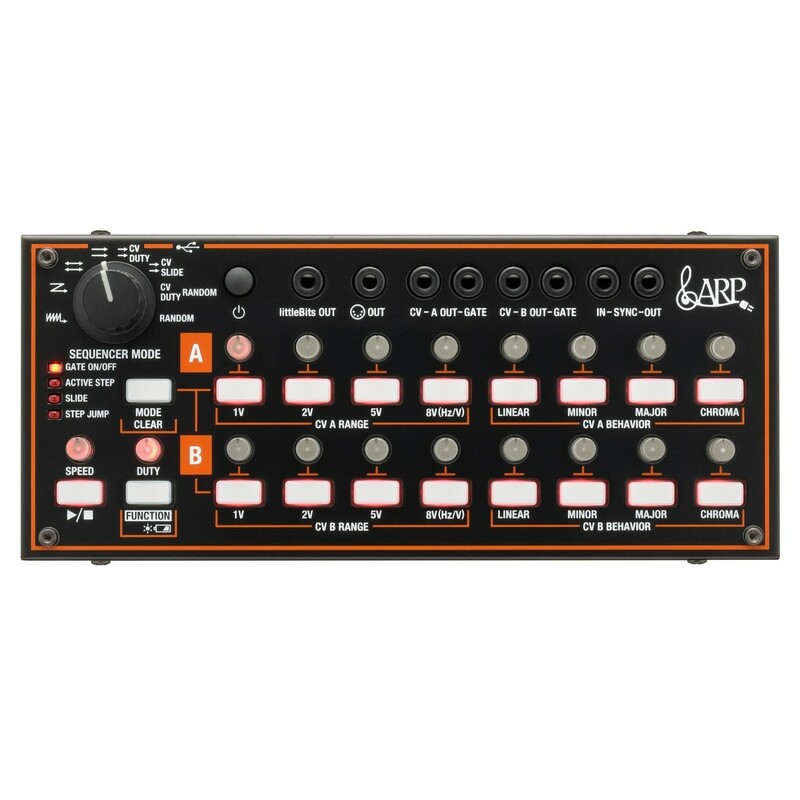 There are two types of envelope generators for added versatility - ADSR and AR. A 'DRIVE' switch has also been included to increase aggression in your sound. Simply switch the DRIVE function on to generate extreme or subtle distortion. The Rev1 also features the three historic iterations of ARP's low-pass filter circuit for added control, allowing you to get that analog low-end rumble associated with vintage synth modules. The distinctive and unique S/H Mixer allows you to easily create sample and hold sounds by utilising the oscillator or noise generator as a source that is triggered by the LFO or keyboard. A portamento slide and transpose switch are also provided for added control of your sounds, allowing you to quickly and easily switch octaves as well as slide between notes. The ARP Odyssey Rev1 features a wide range of digital and analog connection, bringing the best of both worlds together for added functionality. 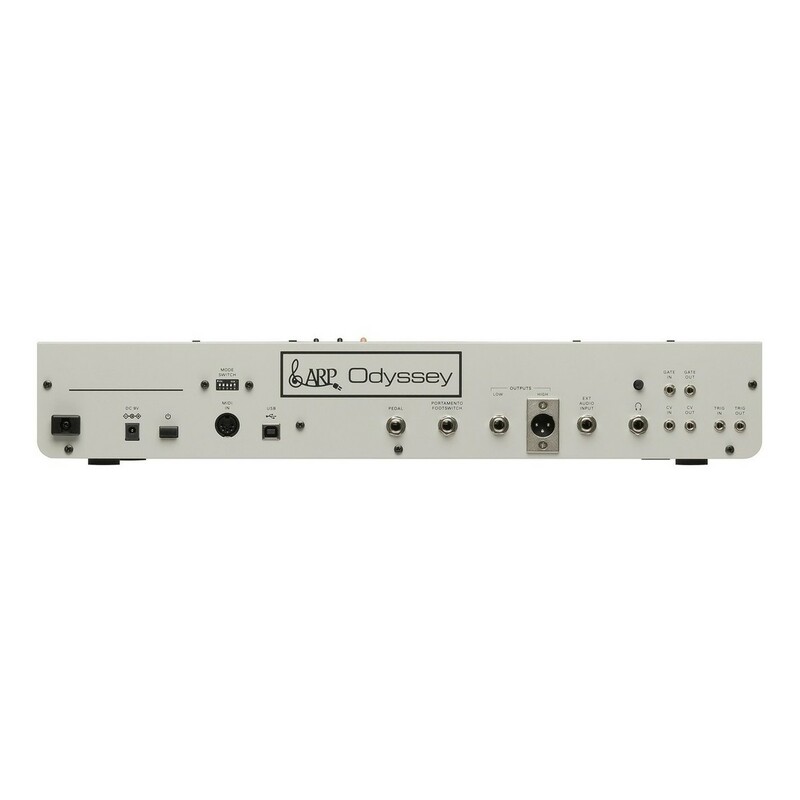 Starting with the outputs, the ARP Odyssey Rev1 features both a 1/4'' and XLR output for connecting the module to a range of external audio equipment including speakers and more. An external audio input jack is also provided, allowing you to process sound from an external device. The headphone jack allows for private sound design and playing. It also features integrated volume control for added convenience. CV, GATE and TRIG jacks are provided to let you send and receive analog signals to operate the instrument. For digital connectivity, Korg have included both MIDI IN and USB MIDI ports for connecting the module to a computer. This is ideal for music producers who wish to utilise the ARP Odyssey in their favourite DAW, allowing you to implement the sounds you make into your musical productions. The SQ-1 provides two channels (A and B) of 8-step sequencing that can operate consecutively, or be used in a variety of other modes. For example, you can run A and B following each other to function as a 16-step sequencer, ignore the order and make the steps play randomly, or use A and B to control different parameters as they run in parallel. From simple sequences to complex changes, you can choose from a variety of modes to suit your needs. The 2 x 8 step buttons can be used in the usual way to turn notes on/off, but you can also use the MODE button to switch their function, opening up powerful possibilities such as letting you "perform" the sequence itself. "Active Step" lets you skip steps mid-way through a sequence, and "Step Jump" lets you instantly play just the step that you press, producing irregular rhythms or effects that are reminiscent of short loops. "Slide" produces an effect in which steps are connected smoothly; using this to control a synth bass is an easy way for anyone to generate an acid sound.